Full Name : Abu Jafar Mohammed ibne Ali ibne Moosa ibne Babawiya al Qummi al Khorasani ar Raazi popularly known as Sheikh Sudooq. Sheik Sudooq hailed from Qum. In his twilight years he moved to a village near. Tehran. His Kunyat is Abu Jafar and is remembered with the title of Sudooq that means a very truthful person. There are two very interesting reasons for the title which we shall discuss . There is no positive evidence as to his year of birth. According to some indications, scholars have guessed that Sheikh Sudooq was born at the end of 305 H or in some month of 306 H. We shall discuss about this too as we proceed. All the scholars and historians are unanimous about the Sheikh’s death which was in the year 383 H. This would mean that he lived to an age of 75 years. Among the mentors of Sheikh Sudooq his father, Ali ibne Hussain Qummi, was the first. His other well known tutors were Ibrahim Burki and Mohammed ibne Hussain ibne Walid. The names of about 150 scholars have been listed by historians as the persons from whom he had the privilege of receiving instruction. There is also a formidable list of his disciples who benefited from his knowledge. His most outstanding disciple was Sheikh Mufeed. Sheikh Mufeed is accepted by many authorities as the Mujaddad of the 4th Century H. Another famous disciple was Najashi. Najashi’s father too was a disciple of Sheikh Qudoos. Ibne Zaheri, the most famous scholar of his time, too was the Sheikh’s student. But the most important heritage left behind by Sheikh Sudooq is the books written by him. The tomes of history record about 300 books authored by Sheikh Sudooq but 220 books are available in the libraries of the world. Sheikh Sudooq’s most popular book is “Mun laa yahdar al faqeeh”. Another very well known book is “Madinat al Ilm”. But unfortunately the book is out of print and no copies are available. Another popular book of his is “Ilal al Sharaeh”. (Reasons/Why for a variety of rules/names etc available in urdu as well) This too is a very important book on Fiqh and Hadith. Sheikh Sudooq has dealt with the purpose of the mandatory practices like Wadu (ablution) and why is it prescribed; Why one should do Ruku (Genuflection ) during prayers; Why Tawaf (Circumambulation) around the Kaaba is mandatory during the Haj and why one should circumambulate 7 times; why pebbles should be thrown at the Shaitans; why the Seegha (The Pronouncement of Marriage ) is recited at the time of marriages; why the proposals for marriages have to be initiated by the boy’s family and not the girls? Thus he has dealt with all the questions that might arise in the matter of Shariah in the light of the sayings of the Infallibles (a.s). This book has already been translated into Urdu. Another very popular book written by Sheik Sadooq is “Kitab al aiteqaadiya”--- it is a treatise one the beliefs of the Shias. This is a small but comprehensive book. Every Momin must peruse this book at least once! The other smaller books authored by him are: “Sawab al Aamaal”, Iqaab al Aamaal”, “Sifaat al Shia”, “Muaani al Akhbaar”etc. We shall have to deal at length with the life and works of Sheik Sudooq because he is the author of one of the 4 great books, “Mun laa Yahdar al Faqeeh”. The great scholars have eulogized this book profusely. After Yaqub Kulaini, Sheik Qudoos came to propagate the word of the Imams (a.s) after the Imam e Zamana (a.s) went into Occultation. A person who isn’t aware of the works of Sheik Sudooq, he is ignorant of the basics of the Shia Faith. Sheik Sadooq hailed from the town of Qum. Qum has always been the center for the followers of the Aal e Mohammed (s.a). There is a tradition of the 6th Imam ( Imam Jafar e Sadiq a.s) who said that the people of Qum genuflex and prostrate in prayer! They are scholars and people with intelligence. This tradition manifests that during the time of the 6th Imam (a.s) Qum had established its reputation as a center for Islamic Learning. The people in this town always approached the Ulema seeking solutions for their religious queries. When the Ghalees (Fanatic Exagerraters) were convinced that the people of Qum wouldn’t listen to their Ghuluv ( excessive exaggeration), they started berating the Ulema of Qum. When the time of Ali ibne Babawiya Qummi came, the people used to look to him for guidance in all matters, spiritual or corporal, although it was in the Abbasid Realm and a governor was located there. Sheik Sudooq was later to be born to this great scholar and cleric. On the basis of an edict by the clerics, the ruler of the time executed him. He was inflicted with a thousand flogs before he was executed. When he was held for execution, he tried to frighten the clerics by saying that god was in his blood and that he will avenge his blood. After his execution the body was burned and the ashes were consigned to the river Dajla. It so happened that there was a flood in the river that year. The water over flew the shores of the river. This strengthened the false belief of some of his followers. They believed that the river too didn’t accept the ashes of Ibne Mansoor Hallaf and it went into spate. Ibne Hallaf had thought that Qum was the important center for the Shias and he therefore entered there to carry on his mission. He found that the most important person in Qum at that time was Ali ibne Babawiya Qummi. He therefore wrote to him a letter saying that since he was a follower of the Faith of Mohammed (s.a) he should know that he (Ibne Mansoor Hallaf) was the Deputy of the Imam (a.s) and that his hands be strengthened. He wrote similar letters to other clerics as well. All these clerics rejected his contention in different ways. One of the clerics wrote to him that he had grown bald because of old age and said that he would accept him as the deputy of the Imam (a.s) if made his hair grow afresh. When Sheik Sadooq got such a letter from him, he shredded it into smithereens and told the persons gathered at that time that Ibne Mansoor Hallaf was an impostor. Sheik Sadooq’s father used to run a shop in Qum. One day when he reached near his shop he noticed a person sitting in front of the shop and many curious persons were surrounding him. Since he was the chief of the town those days, the persons moved away from that man and came near him. He asked one of the persons as to the identity of the man who sat in front of his shop. They informed him that it was Hussain ibne Mansoor Hallaf. Ibne Mansoor intruded saying why he wasn’t directly asked to reveal his identity instead of asking the other persons. Sheik Sadooq’s father said that he intended to give due respect to him by asking other persons to identify him. He however asked him now to identify himself. Ibne Mansoor said that he was the person whose letter was shredded by his interlocutor. Hearing this, the Sheik’s father got furious and asked his slave to throw the person out of the ramparts of the town..Ibne Mansoor never again entered the bounds of the city of Qum. This proves the respect that Sheik Qudoos’s father enjoyed in the city. Sheik Sudooq’s father, the 4th Deputy of the Imam (a.s) and Mohammed ibne Yaqub Kulaini died in the year 329 H. In that year many other prominent clerics too died. Therefore it is called the Year of the Breaking of the Stars. It is mentioned in the books of history that one day the 4th Deputy of the Imam (a.s), Ali ibne Mohammed Samri, was setting with an assembly of persons in Baghdad when he said, “Yarham Allah-- May Allah be kind on Ali ibne Hussain Babawiya Qummi!” When he uttered these words, the assembled persons asked him the reason for saying what he said. They said that these words are used for deceased persons and Ali ibne Hussain Babawiya Qummi was alive. He replied that the person had just died. The assembly was surprised and they made a note of the date and time of the statement. When a caravan arrived at Baghdad , after many months, from Qum, they informed that their erudite cleric, Ali ibne Hussain Babawiya Qummi had expired on that day and at the time mentioned by Ali ibne Mhammed Samri sitting with his friends at Baghdad. Sheik Sadooq’s father was married to the daughter of his paternal uncle, Mohammed ibne Hassan babawiya Qummi. For a very long time he remained issueless. It is said that when Hussain ibne Rooh was ordained the 3rd Deputy of the 12th Imam (a.s), Sheik Sudooq’s father was still residing in Qum and Hussain ibne Rooh was a resident of Baghdad that is hundreds of miles away from there. In those days traversing that distance was rather a difficult task. The Sheikh’s father once traveled to Baghdad. That was the time when the 2nd Deputy of the Imam (a.s) had expired and Hussain ibne Rooh had assumed charge of his responsibilities. .Ali ibne Babawiya Qummi met him and had a long discussion on many issues. Some scholars are of the view that after meeting the Deputy, he personally went to the presence of the Imam (a.s). But there isn’t any positive proof of this meeting. After this visit, Ali Ibne Babawiya returned back to Qum. After returning to Qum he sent a letter to Hussain Ibne Rooh through a person, Ali ibne Jafar, requesting him to communicate his submission to the Imam (a.s) to offer prayer to Allah for endowing him with issues. Hussain ibne Rooh replied to him saying that he would present his case to the Imam (a.s) and would revert back with the reply in three days. There are different versions recorded by different scholars. But the sum total is that the Imam (a.s) had replied that Ali Ibne Babawiya will remain issueless from his the then spouse and that soon he would marry a Kaneez hailing from Deelam who would bear him children who will be a source of blessing to him. Deelam is a place in Iraq. The Imam (a.s) also said that this spouse would bear him 2 sons who will be erudite scholars and clerics and would be a great source of benefit to the people. He was also asked by the Imam (a.s) to name one of the son’s as Muhammed and the other as Hussain. In the end the Imam (a.s) communicated to him that he would pray to Allah that the two sons should bring him both spiritual and worldly benefit. The actual year of the birth of Sheik Sadooq isn’t recorded by any historian with authority. But they have made a circumstantial guess that since his father met Hussain Ibne Rooh in 305 H and communicated his request, Sheik Sadooq must have taken birth either in 305 H or 306 H. Sheik Sadooq always took pride in the fact that he was born with the special prayer of the 12trh Imam (a.s) and also that he was given a name by the Imam (a.s) himself. The given name of Sheik Sadooq was Mohammed and his younger brother was named Hussain. Sheik Sadooq had another brother who, although a very pious person, wasn’t an erudite scholar unlike his elder brothers. In their early days of education, Mohammed and Hussain, were known for their memory and power of retention. Whatever they heard once, never escaped their memory. 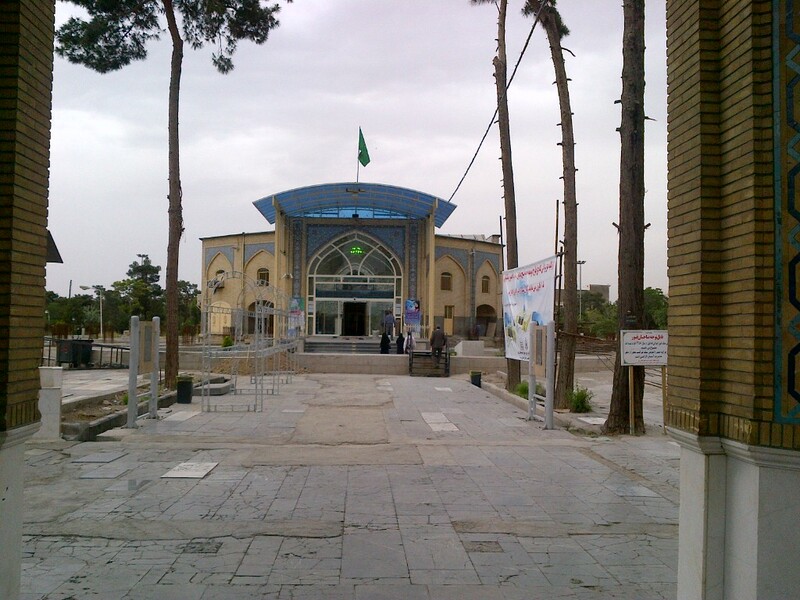 The people of Qum used to be surprised at this faculty of the little brothers. Their mentors used to be surprised at the prowess of these children. Sheik Sadooq was known to the people as Sadooq because of his implicit truthfulness. His truthfulness was complemented by his strong memory that he remembered every event verbatim and was able to recount it word for word! Thus he is rightly remembered with the title of Sadooq!! The Sheik and his father together are remembered as Sadooqain---or the two truthful ones! If you find a mention in any book quoting Sadooq, it would mean that the reference is only to him. But if in another place the mention is of Sadooqain, the reference is both to the son and the father. There is one very interesting event about Sheik Sudooq that I must mention here. Sheik Bahai, who is accepted as the Mujaddad of the10th Century H, writes that once people asked him whether Zakaria ibne Adam was greater or Sheik Sadooq? Zakaria ibne Adam was a companion of Imam Ali ibne Moosa (a.s). There is a tradition of Imam Ali ibne Moosa (a.s) about this pious person. They told him that their homes were in a far away place and it wasn’t easy for them to approach him with their queries. The Imam (a.s) replied that they need not travel the long distance and they could refer their queries to his companion, Zakariya ibne Adam, who was a dependable person both in the matters of the Faith and the world! Sheik Bahai further writes that after some days Sheik Sadooq came in his dream and complained that when a question was asked to compare him with Zakariya ibne Adam, why did he ignore him and praised Zakariya ibne Adam? The Sheik said in the dream that he didn’t know that they both were of the same status! Sheik Sadooq came to Baghdad in the year 355 H. Leading scholars and clerics accepted him as their mentor although he was a very young person at the time. Sheik Mufeed too became his disciple It is accepted that the Infallibles (a.s) too provided support to his mission of propagation of the word of the Ahl al Bayt (a.s) His book,Akmaal al Deen wa Atmaam al Nema or Perfection of the Faith & Fulfillment of Blessings pdf. Part 2 pdf, is on the topic of the Ghaibat (Occultation) of the 12th Imam (a.s). In the preface to this book Sheik Sadooq writes about how he wrote the book. He writes that once he traveled from Qum to the holy city of Mashad to visit the mausoleum of the Imam (a.s). After paying obeisance at the mausoleum, he proceeded towards the town of Naisahapur. In Naishapur there were many followers of the Imam (a.s) and were very prosperous and wielded much power. When he reached Naishapur, people started coming to meet him. He felt that many residents of Naishapur were having doubt about the Ghaibat of the Imam (a.s). He felt that their faith was not firm. He resolved to stay back in Naishapur till he was able to correct the belief of the people there. He started imparting education to them on the Quran, the traditions of the Prophet (s.a) and the Ahl al Bayt (a.s). Slowly they came round to believing about the Ghaibat of the Last Imam (a.s). He then took leave of the people of Naishapur and returned to Qum. It was the period when Sheik Sadooq was a resident of Rai and had left Qum in his early youth. Rai is in the neighborhood of present day Tehran. 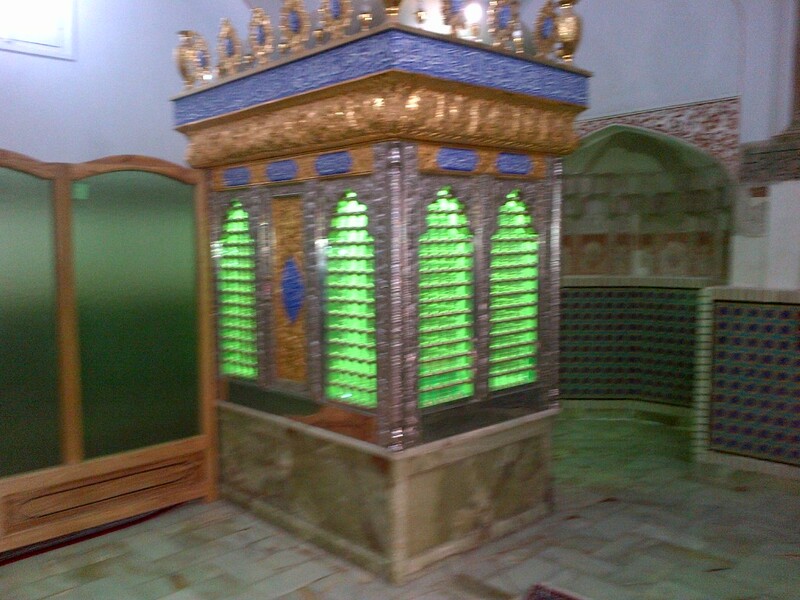 Rai is also the place where the mausoleum of Shahzada Abdul Azeem is located. He had preferred to settle in Rai because it was the place of Mohammed ibne Yaqub Kulaini. While Sheik Sadooq was in Qum, the great scholar from Bukhara, Sheik Najmuddin Abu Saeed Mohammed ibne Hassan Qummi paid a visit there. Sheik Sadooq felt that he must meet Sheik Najmuddin. At the first meeting Sheik Sadooq developed brotherly liking for him. .They started meeting regularly and frequently. The Sheik says that he immediately awoke from his dream. Tears were running down his cheeks. He was happy that he had been highly blessed on that day. The first thing that he did in the morning that he picked up the pen and commenced writing the book on the subject and gave this work the title of Akmaal al Deen wa Atmaam al Nema or Perfection of the Faith & Fulfillment of Blessings pdf. Part 2 pdf Thus a great book on the Ghaibat of the Imama e Zamana (a.s) came into our hands. You may remember that there is a tradition about the Jazeera e Khizra (The Green Island) in our books of traditions. The white islands ( Jazeera e Abyad) are surrounding this island. There are three traditions about this island in our books that have reached us through the writings of the erudite scholar, Nemat Allah al Jazaeri. It is a long tradition that describes how some persons had reached the island. One tradition is about some Christians reaching the island. There is also a narrative about a follower of Shafaee who witnessed the kingdom of Imam (a.s) and also that he saw the Naibeen (Deputies) of the Imam (a.s). The narrator says that wherever he went in the Jazeera e Khizra, he found the names of the five erudite scholars--- the first name was that of Mohammed ibne Yaqub Kulaini, who wrote the Usool e Kaafi, the second name was that of Sheik Sadooq, the third was Sheik Mufeed, the fourth Sayed Murtada and the fifth name was that of Najm al Deen Qasim ibne Mutahir Hilli who is the author of Shara e al Islam. He says that wherever he went in the island he heard these five names. This is the Kingdom of the Imam (a.s) where his deputies are ruling. One book written by Sheik Sadooq is Man la Yahdar al Faqeeh. This is the book only next to Usool e Kaafi and it contains 9,044 traditions. The very title of the book indicates its importance. It means the book is for persons who don’t have any access to any cleric or Mujtahid. The Sheikh has very deftly dealt with the day to day problems that ordinary persons face in their lives and the solutions in light of the traditions of the Prophet (s.a) and the Ahl al Bayt.(a.s). It deals with the same problems as are dealt in Tauzeeh al Masael. But the difference is that he has handled the subjects in the form of traditions of the Infallibles (a.s). For example: you read in the Tauzeeh that 4 things are mandatory for doing the ablution. The Sheik writes that as said by the Imam (a.s) five or six steps are prescribed by the Imam (a.s) for the ablution. All the traditions quoted by Sheik Sadooq in this book on the day to day problems and he hasn’t quoted any two traditions that contradict each other. For any problem he has quoted only one tradition. This was possible because of his exceptional memory. Some scholars are of the view that because of this prowess his book becomes more important than the Usool e Kaafi. Mohammed Yaqub Kulaini did tremendous work collecting the traditions from umpteen sources. But Sheik Sadooq’s specialty is that he was fully aware of the lives of the narrators because of his exceptional memory. Not only Sheik Sadooq was a cleric and Mujtahid of very high category but he was an adept at Ilm e Kalam. Ilm e Kalam means the study of the Shia Faith to reply to the objections raised by its opponents--- the objections could be either for Tauheed, Risalat or Imamat. Therefore many a Munazera ( Debate) made by the Sheik are on record. Whenever he heard of any such remarks made by the opponents, he would personally travel, despite being a cleric of very high caliber, and actively debate with the other parties. There are umpteen persons who have adopted the Right Path because of the convincing arguments of Sheik Sadooq. The very famous debate that Sheik Sadooq had was in the court of Rukn al Dawla who was the ruler of the territory of Deelam in Iraq. Rukn al Dawla had heard a lot about Sheik Sadooq’s erudition. Therefore he wrote a letter to him and invited him to Deelam. The Sheik went to his court. He was received there with great care and respect and was seated near the ruler in the court. Sheik Sadooq further says that even a common intellect doesn’t accept this tradition quoted by the person. Then he asked Rukn ad Dawla, “ If we have two alternatives, either to accept the Prophet (s.a) as correct or the Ummat, which alternative would we accept? Rukn al Dawla replied that we would certainly consider the Prophet (s.a) correct. The Sheik said that people believe that the Prophet (s.a) didn’t nominate his successor. If we do accept this contention, and if, certainly nominating a successor is necessary, and even then he didn’t nominate one, then wouldn’t he be termed at fault? (Our belief is that the Prophet (s.a) did nominate his successor!). If nomination of a successor was necessary, and the Prophet (s.a) didn’t nominate and the Ummat took it upon itself to select one, then the Ummat is at fault! Should we contend that nomination of a successor was not at all necessary and the Ummat, in its fault, selected one!! After this discussion and debate, the conditions for the followers of the Progeny of the Prophet (s.a) became more congenial. In the heart of Rukn ad Dawla the love for the True Faith awakened. Sheik Sadooq spent his entire life propagating the word of the Ahl al Bayt and he breathed his last in 381 H. and he was interred near the mausoleum of Shah Abdul Azeem in Rai. His grave is visited by people even today. Fath Ali got a tomb and sarcophagus constructed on the grave of Sheik Sadooq. About two hundred years ago, in 1238 H, it rained very hard in that area and the graves were sundered open, The Sheik’s grave was in a cellar. When it rained very hard his grave too was badly damaged. The author of Rauzat al Janna, Aghai Ibrahim Nawasani, writes that when the water entered the grave with force, he visited the place. When he entered the cellar he noticed that the grave was totally open and he found that Sheik Sadooq was lying there as if he was peacefully asleep. After such a long time of his expiry the marks of dye on his nails were visible as if it was applied on the same day. Even the cloth in which the Sheik’s body was wrapped hadn’t deteriorated. A spider had made a web around the Sheiik’s body as if it was protecting it. Seeing this, Aghai Nawasani came away. When this news spread in the town, it also reached the ears of Fath Ali. He himself visited the site but didn’t enter the cellar finding a big crowd there. He got the Sheik wrapped in a fresh coffin, got the mausoleum constructed and sealed the cellar. This incident proves the greatness of Sheik Sadooq. Before his birth the Imam (a.s) prayed for him and after his death the spider knit a web around his body that reminds us what happened to the Prophet (s.a) in the cave at Thoor! The author of this book (Sheikh Sadooq) - May God have Mercy upon him - is the highly esteemed, noble Abi Ja'far Muhammad ibn Ali ibn Al-Hussein ibn Musa ibn Babooyeh al-Qummi known as Sheikh Sadooq. He has such a high rank in knowledge, understanding, realization of the true meaning of traditions, jurisprudence, honesty in speech and extensive highly valuable writings that no one can write about and fully express these. All the knowledgeable people who have either written his biography or used his highly valuable books have tried to praise his works and declare his Divine Leadership and honesty. They have called him Sheikh that is normally the title of native scholars trained in the traditional sciences such as clerical dignitaries, members of a religious order, or professors of spiritual institutions of higher learning - that is master of an order. He has also been called honest and a forerunner. We can say that he has been one of the signs of God. He passed away in the year 381 A.H. (990 A.D.) when he was more than seventy years old. His publications – that were more than 300 in number - were like brilliant stars guiding those who sought to follow the Divine Path. Unfortunately, the tragic occurrences in history resulted in the loss of the majority of his works. We can clearly state that not even one tenth of his writings have remained up until today. His Nobility as Expressed by Noble Religious Scholars There is no need to present any evidence or reasoning to prove his high rank. However, we will briefly mention a few of the remarks of our noble religious scholars about his noble personality here for the readers to get a bit more familiar with him. Sheikh al-Taefeh (may God have mercy upon him) has called him 'of a high position' in his book Al-Fehrest. Then he wrote, ''He is the protector of the traditions, ware and informed about the personalities, and is an informed person and a critic on Akhbar (traditions). One has not seen anyone of similar capabilities among the scientists in Qum. He has about 300 publications.'' He also makes similar remarks about him in his Rijal. Najjashi who was a great researcher on 'great men' calls him 'Abi Ja'far from Qum'. He also calls him Sheikh, our jurisprudent, a shining character, and the honor of the Shiites in Khorasan. He wrote, "When in the year 355 A.H. (965 A.D.) he entered Baghdad, he was young. The great men of the Shiites listened to him to learn traditions and gain Divine Knowledge." Al-Khatib al-Baghdadi in his famous book TARIKH BAGHDAD (the history of Baghdad) wrote, "He (Sheikh Sadooq) went to Baghdad and quoted traditions on the authority of his father. He was one of the well-known and noble men of the Shiites, and Muhammad ibn Talha an-Naáli told me about him." Ibn Edris has praised him in his book SARA'IR and said, "He was honest in speech, noble, informed about the traditions and a critic. He was very knowledgeable about the great men. He had memorized many traditions." Allameh al-Hilli has called him Sheikh, and has said that he is our jurisprudent, our honor, and the bright and real character of the Shiites. He has been called the following titles by the noble religious Shiite scholars: Ibn Shahr Ashoob; Seyed ibn Tawoos; Fakhr al-Mohaghegin; ash-Shahid al-Awwal (the first martyr); Re'is al-Mohaditheen; al-Sheikh al-Ajall; Imam Asreh; Rokn Min Arkan ad-Din (one of the pillars of religion); Sadooq al-Muslimeen; Ayatullah fil-Alemin; al-Sheikh al-A'zam; al-Sheikh al-Sadooq; Hujatul Islam; al-Sheikh ath-Thiqa; al-Molood Bid-Da'wat; al-Sheikh al-Imam al-Moghaddam; al-Fadhil al-Mo'adhdham; Omdatul Fudhala; Sheikh Minal-Mashayekh; Rokn min Arkan ash-Sharia; Sheikh al-Hafazah; Wajihat at-Ta'efah al-Mostahfazeh; Emaduddin; and al-Sheikh al-Alam Al-Amin, among many other titles. He made many trips to various towns in order to learn nobility and hear the traditions directly from the greatest scholars. He was born in Qum, raised there and he acquired knowledge from the great scholars there. Then, although there were many renowned religious scholars in Ray, the people of Ray invited him to go and reside there. Of course, there is no precise mention of the date of his immigration to Ray in the books on Rijal and Tarajom. However, one can conclude from what is written in this book, and in Al-Khisal and Amali, that his immigration was after the (Arabic) month of Rajab of the (lunar) year 339 A.H. (949 A.D.), and before the (Arabic) month of Rajab of the year 347 A.H. (957 A.D.) This is because he has cited a tradition he had heard from Hamza ibn Ahmad ibn Ja'far ibn Muhammad ibn Zayd ibn Ali ibn al-Hussein ibn Ali ibn Abi Talib (MGB) in the Quran on the first date, and has cited another tradition from Abul Hassan Muhammad ibn Ahmad ibn Ali ibn Asad al-Asadi known as Ibn Jaradeh al-Bardaýee in Ray on the second date. for him in Marv Rood among whom we can name the jurisprudent Abul Hussein Muhammadibn Ali ibn al-Shah, and Abu Yusuf Rafeh ibn Abdullah ibn Abdul Malik. In the same year, he traveled to Baghdad and heard some traditions from the religious scholars there. He had also gone to Kufa, Fayd, Mawara' un-Nahr, Balkh, Samarqand and Forghaneh and had heard traditions from the religious scholars in these cites. The Birth of the Author - May God Have Mercy upon Him We are not precisely aware of the year in which he has born. None of the biographers has stated his birth date. However, we can draw some conclusions in this regard from his own book KAMAL AD-DIN, and Sheikh Toosi's GHAYBA and Najashi's FEHREST that he was born after the demise of Muhammad ibn Uthman al-Umari who was the second (of the four) representatives of the twelfth Imam (MGB) - that is in year 305 A.H. (917 A.D.) at the beginning of the mission of Abil Qasim Hussein ibn Ruh - who was the third representative of the twelfth Imam (MGB). He died in 381 A.H. (990 A.D.) after living for seventy years. He was buried in Ray next to the Toghrol Garden, near the shrine of the blessed Abdul Azeem al-Hassani - may God be pleased with him. His shrine is simple, but spiritual. Many people go visit his shrine and receive blessings. In the year 1238 A.H. (1859 A.D.) Fath Ali - the king of Qajar - ordered the building of the shrine to be reconstructed. This resulted in a demonstration of nobility. The word spread around among the people, and it was finally approved of by the government officials and the king. The details of this event have been recorded by many authors - may God have mercy upon them. Among them we can mention ROWZA by Khansari, QISAS AL-ULAMA by Tonikaboni, TANQIH AL-MAQAL by Mamaghani, MONTAKHAB UL-TAWARIKH by Khorasani and TAVA'ED AR-RAZAVIEH by Qumi. This has been recorded in ROWZA by Khansari as follows: 'This event was a demonstration of the nobility of the Sheikh. It attracted the attention of many people, and was a source of guidance for many and a cause of happiness for many enlightened people. There once appeared a rupture in the shrine of the noble Sheikh - that is located near Ray - due to a flood. When they investigated to find the degree of damage done in order to reconstruct it, they reached a room in which he was buried. Once they entered that room they found his body naked, with his private parts covered, and in perfect shape. His face was absolutely peaceful and they could still see the polish (khadhab) on his nails. The shroud with which his body was wrapped at the time he was buried had worn out, torn into shreds and fallen down on the dirt around his corpse. The news rapidly spread around in Tehran. When Fath Ali - the grandfather of Naser ad-Din - the king of Qajar heard about this around the year 1238 A.H. (1859 A.D.), he went there in person to investigate. He consulted with the government officials whom he trusted as to whether or not he should enter the tomb in person. They did not recommend the king entering the tomb, as they thought this was not appropriate for his rule. Then a group of religious scholars and well-known people were sent into the tomb to check the issue. When the numerous people who had entered the tomb all testified to the truth of this issue, no doubt was left for the king. Once he was certain about the truth of this issue, he ordered the cavity to be closed off, and the building of the shrine to be reconstructed, and decorated in the best possible fashion using mirror work. I have personally seen some of the people who were present there. Some of our religious professors who are of the noble scholars have also described this event. Name and Lineage Mohammed bin Ali bin al-Hussein bin Musa bin Babawayh; Abu Ja’far As-Saduq* al-Qummi –i.e. of Qum-; the master Sheikh and the head of the narrators. Birth and Early Life Sheikh As-Saduq was born in Qum. 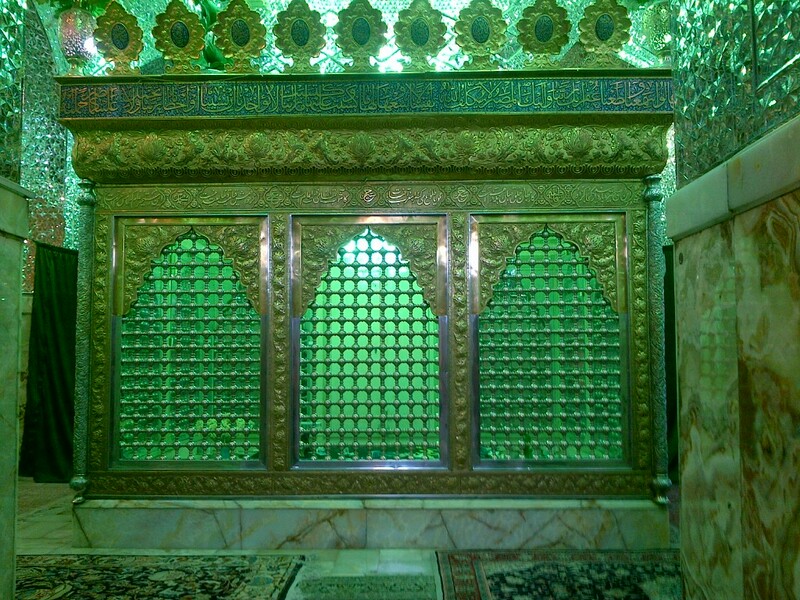 Although it was impossible to define the very year in which he was born, it is well known that he was born after the death of Mohammed bin Othman al-Omari (the second representative), which was in the year 305 A.H. That was the opening year of the representation of Abu al-Qasim al-Hussein bin Rawh (the third representative), who died in 326 A.H.
* For more information about the biography of Sheikh As-Saduq, refer to al-A’lam; Az-Zarkali, 6:274, A’yaan ush-Shi’a; Sayyid Muhsin al-Amin, 10:24, Amal ul-Aamil; al-Hurr al-Aamili, 2:283, al-Ansaab; As-Sam’aani, 4:544, Tarikhu Baghdad; al-Khateeb al-Baghdadi, 3:89, Tuhfat ul-Ahbaab; Sheikh Abbas al-Qummi, 468, Tanqeeh ul-Maqaal; al-Mamuqani, 3:154, Jami ur-Ruwaat; al-Ardabeeli, 2:154, al-Khulaassa; Allama al-Hilli, 147, Ad-Diraya; Sheikh Hussein Abdus-Samad, 70, Ar-Rijal; Ibn Dawoud al-Hilli, 179, Ar-Rijal; Sheikh At-Tousi, 495, Ar-Rijal; An-Nejashi, 389, Rawdhaat ul-Jannaat; al-Khawansari, 6:132, Riyadh ul-Ulemaa; Mirza Abdullah Afandi, 5:119, Rayhanat ul-Adab; al-Muderris At-Tabrizi, 3:434, Siyeru A’lam in-Nubelaa; Ath-Thehbi, 16:303, al-Fihrest; Ibn un-Nadeem, 227, al-Kuna wal-Alqaab; Sheikh Abbas al-Qummi, 560, Lu’lu’at ul-Bahrain; Yousuf al-Bahrani, 372, Me’aalim ul-Ulemaa; Ibn Shahrashoub, 111, Mu’jam ul-Mu’ellifeen; Omar Reza Kahhala, 11:3, Nawabigh ur-Ruwaat; Agha Buzurg At-Tahrani, 287, Hadiyyat ul-Aarifeen; Ismaeel Basha al-Baghdadi, 2:52, and Wassail ush-Shi’a; al-Hurr al-Aamili, 30:478. After the Grand Invisibility (Ghaybah) of Imam al-Mahdi, God may hasten his return, four representatives were successively appointed as the means between the Imam and people. The second representative was Mohammed bin Othman al-Omari. Many are the titles of Imam al-Mahdi; God may hasten his return, such like sahib uz-Zaman —the owner of the time—, al-Qa’im —the executor—, al-Muntazhar —the awaited—, and al-Hujja —the claim of God—. Refer to Kamal ud-Din wa Tamam un-Ni’ma; 503 H.31. Refer to al-Ghaybah; 23 H.266. Refer to al-Kharaij wa al-Jara’ih; 3:1124 H.266. Refer to A’lam ul-Wara: 422. Refer to Tabssirat ul-Wali: H.56. Refer to Muntakhab ul-Anwar il-Mudhee’a: 113. Refer to Thaqib ul-Manaqib; 270. Abu Abdillah (As-Saduq’s brother) is al-Hussein bin Ali bin al-Hussein bin Musa bin Babawayh. He was also righteous master and retainer. He dies in 418 A.H. He compiled many books, such as At-Tawhid and Nafy ut-Tashbih. Refer to Ar-Rijal; an-Nejashi 2661 H.684. Istrabad is a famous town of Tabaristan. Jurjan is a famous city lying between Tabaristan and Khurasan. Refer to Kamal ud-Din; 2 (the introduction). Marwalruth and Sarakhs are two cities in Khurasan. Hamadan is a big city western Iran. Ilaq is a village in Bukhara. Balkh was a big city. Today, it is a small village in Afghanistan. Samarqand is a famous Uzbek city in east-central Uzbekistan. Faraghana is a city eastern Uzbekistan. Refer to al-Fihrest; 157, H.695. Refer to Ar-Rijal; An-Nejashi, 398, H.1049. Refer to Me’aalim ul-Ulemaa; 111 H.764. This book is one of the four master reference books of Shia upon which the scholars depend totally and the jurisprudents extract the rulings. The author is the venerable Shaykh Abu Ja’far Muhammad bin Ali bin alHasan bin Babawahy commonly known as Sadooq. He was among the Shia scholars of the 4th century Hijri. He was also the chief of the clan, a minaret of truth and religion, a leader of his time and in general such a personality that no praise is sufficient to do justice with his actual status. The whole Muslim community is unanimous about his leadership and lofty status. He was born through the prayers of the Imam of the time (a.t.f.s.) and a written certificate was also issued by the Holy Imams (a.s.) in his favor: “He is a very righteous and blessed jurisprudent.” After this holy testimony whatever may be said or written about him will definitely be less than what befits his position. His bounties have surrounded all and his writings and books have benefited the scholars as well as laymen. Each and every example of his knowledge and action testifies to his lofty stature and greatness. And one who undertakes a deep study of biographical books will conclude that Shaykh Sadooq, on the basis of his merits and intellectual excellence was the leader of all those who succeeded him. He is the standard bearer of jurisprudence, he is the leader of tradition scholars, the Imam of hadith narrators and a master of scholastic theology. All the qualities of excellence in knowledge, perfection of intellect, goodness of understanding, a remarkable memory and sharp perception had gathered in his person. He traveled far from the place of his birth in order to collect traditions from the narrators of traditions and he stayed with them to obtain the narrated reports from them. Among the places he traveled to included Astarabad, Gurgan, Nishapur, Marawalruz, Samarqand, Farghana, Balkh, Hamadan, Baghdad, Faid, Mecca and Medina. resulting in clearing many misunderstandings and clarification of doubts. There are many other benefits that accrue from the journey of religious interaction. The venerable Shaykh Sadooq was an expert in this field who attained priority among all in such a way that no one could claim to have got even onetenth of what he achieved. Actually he used to take lightly the difficulties of his journeys and did not accord much importance to the discomfort he had to face. He traveled through arid deserts, battle ravaged areas, traversed deserts and crossed mountains. He passed through foreign lands and alien cities at a time when a traveler was susceptible to so many perils and the modes of travel were beyond description. The author was born in the Iranian town of Qom. He attended classes of scholars and gained knowledge from the learned of Qom. Thereafter upon the insistence of the people of Rayy he shifted there for some time. Then he visited the holy mausoleum of Imam Reza (a.s.) and returned again to Rayy. On his return journey from Nishapur he was surrounded by the elders of Nishapur and the scholars stood before him in rows. They benefited from the light of his wisdom and gained from his expertise in religious sciences. In the same way, the author also profited by the knowledge of great scholars of Nishapur like Abu Ali Husain bin Ahmad Baihaqi. He also heard traditions from Abdul Wahid bin Muhammad bin Abdewas Nishapuri, Abu Mansur Ahmad bin Ibrahim Ibne Bakar al-Khauri, Abu Saeed Al-Muallim Muhammad bin Al-Fadl bin Muhammad bin Ishaq Nishapuri, Abu Tayyib Husain bin Ahmad bin Muhammad Razi, Abdullah bin Muhammad bin Abdul Wahhab Sajazi and Abu Nasr Ahmad bin Ishaq Husain bin Ahmad bin Ubaid. During his stay in Nishapur, people visited him in groups. In his interaction with these people, Shaykh Sadooq surmised that most of them harbored doubts about the Twelfth Imam (a.t.f.s.) and were confused in this regard. They did not acknowledge the evidences in this matter. So he focused all his efforts in bringing them to the right path and removing their misconceptions through his knowledge and scholarly expertise. He undertook this mission in such a dedicated way that very soon he earned the title of the greatest scholar of Khorasan. After that he headed for Marawalruz. 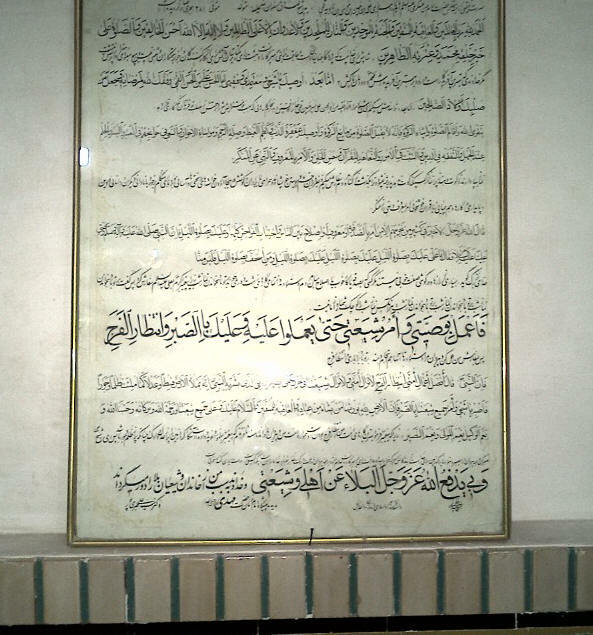 At this place he heard traditions from a group of scholars, including Abul Husain Muhammad bin Ali bin Shah Faqih and Abu Yusuf Rafe bin Abdullah bin Abdul Malik. Later he turned his attention to Baghdad where he was accorded a warm welcome and the elders of the Imamiyah sect heard traditions from him. He in turn heard traditions from a group of scholars in Baghdad that included personalities like Hasan bin Yahya Alawi Husaini, well known as Ibne Abi Tahir, Ibrahim bin Harun Haisati, Ali bin Thabit Dawalaibi and Muhammad bin Umar al-Hafiz. Shaykh Sadooq visited Baghdad twice, once in 352 A.H. and again in 355 A.H.
Muhammad bin Ja’far al-Bandaar ash-Shafei al-Farghani, Ismail bin Mansur bin Ahmad al-Qasar and Abu Ahmad Muhammad bin Abu Abdullah ash-Shafei. Muhammad Farsi, a book in reply to a letter from Baghdad and yet another in reply to a question received in the month of Ramadan. He wrote a letter to the people of Rayy regarding the matter of Ghaibat (occultation). In the same way he held discussions and debates in defense of the true religion that were written down for the posterity. The best of such debates is the one that was held in the court of King Ruknuddind Buwayhid Dailami. It was held at a time when the fame of Shaykh Sadooq had reached all the corners of the world. The ruler sent one of his representatives to invite the Shaykh. When he reached the court he was received by the King himself. The King had him seated next to himself and paid exceeding honor to him. Then he asked the Shaykh some very complex and difficult questions which he replied with absolute satisfactory replies, illuminating the veracity of the true religion. The King and other attendees accepted the arguments and the opponents had no choice but to accept the proofs. Among the books listed by Najjashi are: Account of the debate in the court of Ruknuddaula, Account of another Debate, Account of Third Debate, Account of Fourth Debate and Account of Fifth Debate etc. The most important point of discussion in these gatherings was the veracity of the Imamiyah faith and the matter of Ghaibat (occultation). These debates and discussion were especially arranged for the Shia people of Twelver (Ithna Ashari) Faith because they had, at that time separated from the Imam who should have been present among them all the time. The situation was such that even during the period of Minor Occultation (Ghaibat Sughra) only the four special deputies in their respective tenures had direct contact with the Holy Imams (a.s.). Also even the learned and scholars of the community spoke of him using titles and codes without openly disclosing his name and qualities etc. So the Kamaaluddin wa Tamaamun Ni’ma 10 majority of the people were very prone to all kinds of doubts and illusions. Consequently the debates of scholars like Shaykh Sadooq went a long way in clarifying doubts of the Shia populace and further strengthened the foundation of Imamiyah faith on which would be built in the near future an edifice of jurisprudence that shall last till the Holy Imam (a.s.) himself reappears to openly take the reins of his community. The doubts prevalent in that age were further promoted by the proliferation of sub-sects like the Zaidiyyah (who were particularly strong), Kaisaniyah, Ismailia and Waqifiya who did not believe in any Imam after Imam Musa Kazim (a.s.). These sub-sects were becoming stronger by the day and some of them even aligned with each other putting the true Imamiyah beliefs into a grave danger and deviating a large number of Shia people from the faith of their forefathers. The author sensed this looming peril and stepped forward to correct the situation and save the Shias from this deviation and annihilating circumstances. If it was not for the efforts and debates of scholars like Shaykh Sadooq, it was very likely that the majority of Shia people would have succumbed to their doubts and completely washed their hands from the belief of Imam Mahdi (a.s.). History and traditions bear witness how these warriors of the field of knowledge strived to save the people from perdition and the true Imamiyah faith from destruction. History bears witness that how they endeavored to remove doubts and clarified complex issues of religion, especially the matter of Ghaibat, so that the Shia community may not give up the authentic faith and stray to the path of deviation. The venerable Shaykh penned books on almost all religious sciences and illuminated all the aspects of faith that were required by the Muslim Ummah. All his writings are marked with a distinctive style and arrangement. As mentioned by Shaykh Tusi, the number of his writings reach to 300. However most of them were destroyed by the ravages of time and circumstances and decayed in some corners of libraries. So what remains is only the sketch of the original and those that are lost have only left behind their names (titles). Some of his books survived for a few hundred years and then suddenly disappeared as if they were lifted up to the heavens. Only a part of his huge wealth, comprising of not more than 20 books, has survived to this day. Even these few books were littered with errors and differences in various versions etc. As a result of which they were neither accepted by the scholars nor reached the standards of scholarship. It was so because those who were involved in their reproduction were neither capable not committed to this job. Thus a situation appeared when despite the presence of these few books they were of hardly any scholarly value. Kamaaluddin wa Tamaamun Ni’ma 11 This problem was not only with the books of Shaykh Sadooq. It was the same for writings of other well known scholars. For example in the case of Ibne Quluwahy nothing remains from his writings except the book of Kamiluz Ziyaraat, although it is confirmed that he had written dozens of books. Shaykh Mufeed had written more than 200 books but only a few have survived to this day. The same is the case with the writings of Shaykh Tusi and Allamah Hilli. In his compiled book, Tarihi has mentioned that 500 treatises written by the hand of Allamah Hilli were found; which were in addition to the books that people had access to. Ninety percent of Allamah Hilli’s writings are lost as a result of centuries of conflict and bloodshed between Muslim sects in which the greatest loss was suffered through burning of libraries or throwing books into the sea/river. After that the remaining books were destroyed by the Tatars. Thus our written treasures were always prone to destruction at the hands of the opponents. In the present age also some people approached us from far away lands and took away portions of our written heritage in exchange of a paltry sum. Actually this matter is highlighted only to create an awareness how our laxity and indifference in this matter has wreaked havoc with our Islamic heritage, so that we do not repeat such mistakes. clue from which version he has reproduced it. Though we must admit that some books stand out prominently as they were fortunate to have been corrected, checked and edited by a great scholar. May the Almighty bestow a great reward to them for such a service to Islam. Only these are the books that can be relied upon. Shaykh Sadooq (q.s.) has narrated traditions from a large number of important traditionists whose count reaches to 250. One can refer to the Foreword of Maani al-Akhbaar where all the names are listed. is built near the mausoleum of Abdul Azeem Hasani in the Rayy province. Many people visit the place seeking blessings and paying respects. This mausoleum was first built by Fath Ali Shah Qachar in 1238 A.H. This was after the well known miracle that convinced the king, the queen and the courtiers. The details of this incident are mentioned in Raudhat of Khwansari, Qisasul Ulama of Tankabani, Tanqihul Maqaal of Mamaqani and Muntakhib at-Tawarikh of Khorasani. 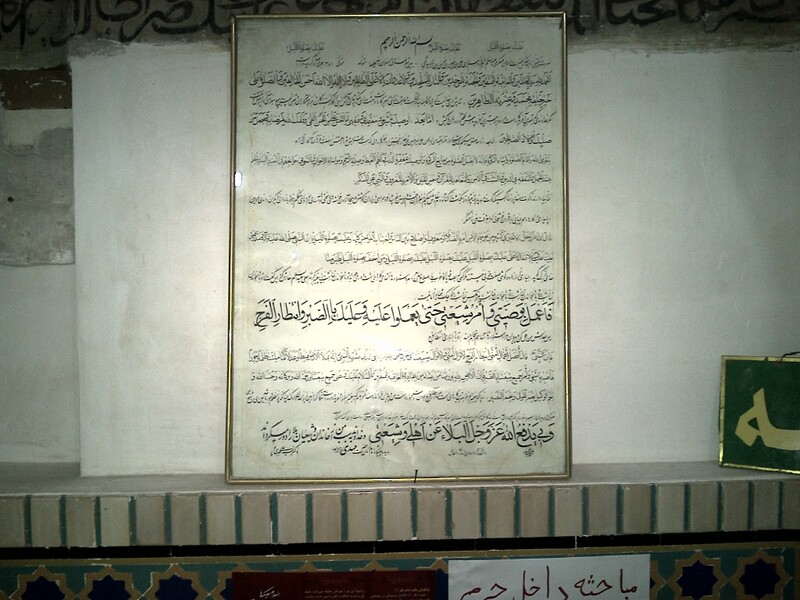 Khwansari says: Among his miracles is one that was seen in the present age and which a large number of people with perception themselves witnessed and which people from far away places also saw is that the Shaykhs tomb which is situated in Rayy was damaged with heavy rains as a result of which there developed a crack. When renovation began and the gap was examined closely it was found that it led to an underground chamber in which the last remains of the Shaykh were placed. In this chamber, people saw an elegant dead body which was half covered but the private parts were not exposed. It was a huge body and the nails showed henna coloration and around the body lay twisted dusty threads of the shroud cloth. This news spread all over the city of Tehran and even reached Fath Ali Shah Qachar who was the great grandfather of Nasiruddin Shah. This happened around 1238 A.H. So the King, with perfectly good faith, decided to see for himself and he reached the tomb with an entourage of courtiers. Since the officers advised that King himself does not enter the burial chamber, he deputed some reliable persons to go down and report the facts to him. At last, the truth of the miracle was confirmed for him and he finally ordered that the crack be filled and the tomb be renovated in the most magnificent way. I myself have heard about this incident from an eyewitness and some of our senior scholars have mentioned this event in their books. Mamqani has quoted this incident from the personification of justice and truth, Sayyid Ibrahim Lawasani Tehrani’s Tanqihul Maqaal. As its title implies Man la yahduruhu al faqih was concerned with furu'. It has be neatly translated by E. G. Brown as "Every man his own lawyer". In his introduction to the book al-Shaykh al-Saduq explains the circumstances of its composition and the reason for its title. When he was at Ilaq near Balkh, he met Sharif al-Din Abu 'Abd Allah known as Ni'mah whose full name was Muhammad ibn Al-Husayn ibn Al-Husayn ibn Ishaq ibn Musa ibn Ja'far ibn Muhammad ibn Ali ibn Al-Husayn ibn Ali ibn Abi Talib. He was delighted with his discourses with him and his gentleness, kindness, dignity and interest in religion. He brought a book compiled by Muhammad ibn Zakaria al-Razi entitled Man la yahduruhu al-Tabib or "Every man his own doctor" to the attention of al-Shaikh al-Saduq. He, then, asked him to compile a book on Fiqh(jurisprudence), al-halal wa al-haram (the permitted and prohibited), al-shara-i' wa-'l-ahkam (revealed law and (ordinary) laws) which would draw on all the works which the Shaykh had composed on the subject. This book would be called Man la yahduruhu al-faqih and would function as a work of reference. His [ibn Babiwayh] status in jurisprudence and narrating hadiths was so high that Shi‘ite scholars referred to his opinion in the Sharayi‘e book (religious laws) when there was no associating hadith available or there were doubts in the text of hadith47. Some scholars considered his opinion as authentic as the text of traditions themselves, and presupposed that he must have had a hadith which has been the source of his opinion. There is no information about Ibn Babiwayh's life except but a few cases. Other than those cases, the information about his life is limited to Imam Hasan ‘Askari’s (A) letter to him, Ibn Babiwayh’s meeting with Husayn ibn Mansur Hallaj (d. 309 A.H), and his travels to Baghdad. To find out about his social position, it would be enough to know that when he met Hallaj in Qum, Hallaj introduced himself as the agent and deputy of the promised Imam Mahdi (A) and claimed that he has special dignities and marvels. This angered Ibn Babiwayh and since he was not truthful by his claim, Ibn Babiwayh banished him from Qum48. At least three of his journeys to Iraq have been reported. The first journey was apparently shortly after the death of Muhammad ibn ‘Uthman (304 or 305 A.H). As reported by Tal‘ukbari, his second journey was in 326 AH. In his last journey to Baghdad in 328 AH, he gave permission to Abu al-Hasan ‘Abbas Kluzani to narrate from all of his books49. When the Abbasid dynasty sought to block the Twelfth Imam (A), Ibn Babiwayh held discussions on the wilayah of the infallible Ahl al-Bayt (A) and tried to promote Shi‘a education. Reliable authorities have narrated a treatise from him in which he debates Muhammad ibn Muqatil al-Razi in Rey over proving the Imamate of Imam Ali (A). ‘Ali ibn Babiwayh established the facts for him in this debates, and this discussion led Muhammad ibn Muqatil to convert to Shi‘i Islam50. Ibn Babiwayh was a scholar who had many written works. Ibn Nadim has seen a manuscript of Shaykh Saduq (Ibn Babiwayh’s son) in which he had granted permission to someone to quote a hundred pieces of his father's books51. Bimillah. O’ The honorable and my trustworthy one! Oh jurist. Oh Abu al-Hasan ‘Ali ibn al- Husayn Qummi! May God bless you to do praiseworthy deeds in his sight and may God generate from you – out of His mercy - pious children. I advise you to be wary for sake of God, pray, and give alms –since prayer is not accepted from those who do not give alms. I also advise you to overlook the others' sins, control your anger, observe bonds of relationship, sympathize with your brothers and to fulfill their needs, either in difficulties or at ease, acquire knowledge, think deeply and understand religion and learn it, and be determined in your duties, take an oath to the Qur’an, be open-hearted, and enjoin the good and to prohibit the evil, because God, the Exalted states: “There is no good in much of their secret talks, except him who enjoins charity or what is right or reconciliation between people…” (4:114) and to avoid all the evil. You should perform the midnight prayer, as the Holy Prophet (S) advised Imam ‘Ali (A), saying: "Oh ‘Ali! You should practice the midnight prayer! You should practice the midnight prayer! And you should practice the midnight prayer! Those who consider the midnight prayer trivial are not among us. So put my advice into practice and direct all my Shi‘ites to act accordingly. “The earth indeed belongs to Allah, and He gives its inheritance to whomever He wishes of His servants, and the outcome will be in favor of the Godwary” (7: 128).